Navigating Change is an education and environmental stewardship program that incorporates traditional knowledge with western science to inspire the next generation of conservation leaders. Through studying the differences between the Main Hawaiian Islands and the uninhabited islands, atolls and marine ecosystems in Papahānaumokuākea Marine National Monument, students gain a better understanding of human impacts and are empowered to restore and protect our unique natural spaces. The field- and activity-based Teacher's Guide to Navigating Change provides the framework for inquiry-based learning to prepare students for restoration projects in their own communities. 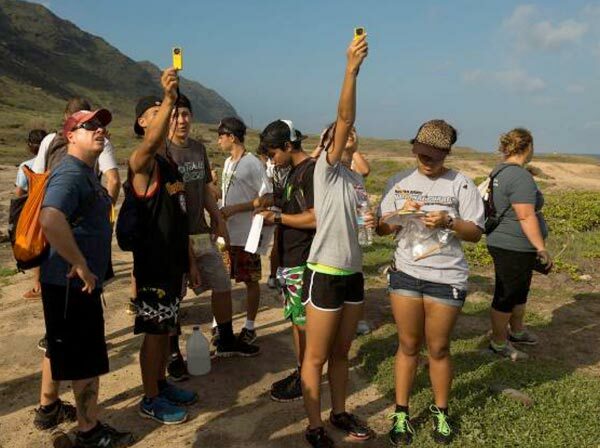 Students participate in classroom and field-based programs, such as alien algae cleanup, stream sediment studies, marine debris cleanup and forest restoration. 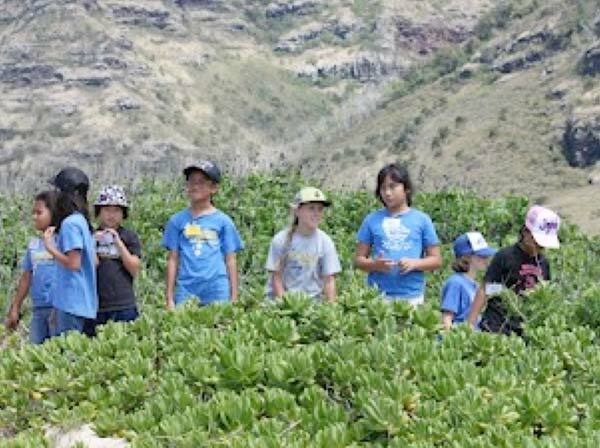 The Navigating Change Program brings non-profit, private, and government agencies together to help facilitate these outdoor restoration excursions for students across Hawai'i. 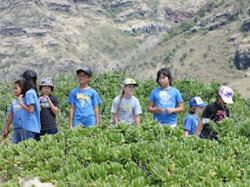 Each year a restoration site is identified and elementary students in the surrounding community address the restoration needs for that site, using the Navigating Change Curriculum as a guide. Sites are chosen for their safety, educational value, historical significance, and the potential for community support. 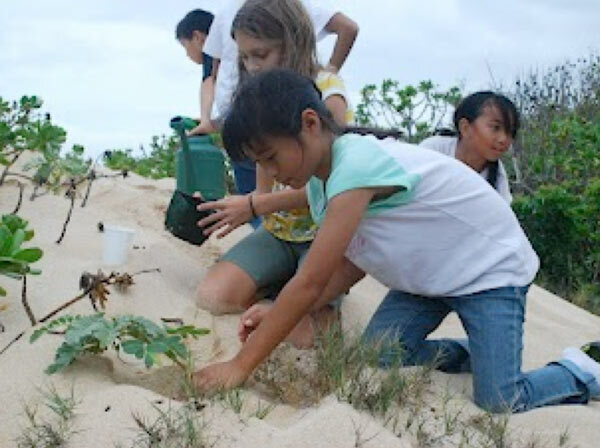 With help from our partners, Navigating Change students have removed acres of invasive plants, restored thousands of endemic trees and plants to their native habitat, and continue to inspire our communities to protect and restore our island home. For more information, see our Educational Resources below. 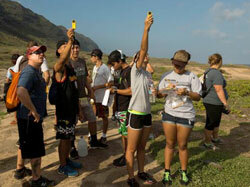 Read article on Navigating Change in East Oʻahu Sun.